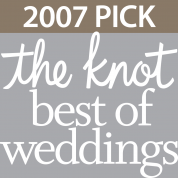 We are pleased to announce Pro Motion Entertainment been selected as a 2013 ­­winner in The Knot Best of Weddings, a special section featured on The Knot. TheKnot.com is the number-one wedding destination, most trusted by brides. This is the 3rd year Pro Motion Entertainment has been voted the Top Pick for The Knot Best of Weddings. The esteemed annual BOW Awards recognize wedding professionals across the country hand picked by the Bride’s themselves! 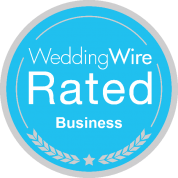 While many industry awards are selected by the organization, Pro Motion Entertainment was selected based on its stellar reviews from past newlywed clients. The Knot is the Internet’s most-trafficked one-stop wedding planning solution. Founded in 1996 to offer a much-needed alternative to the white-gloved, outdated advice of the available etiquette experts, The Knot has quickly become America’s leading wedding brand reaching out to millions of engaged couples each year through our award-winning website, books, magazines, and broadcast offerings.